It is an opencart extension designed to help stores which have products and delivery charges based on customer location. 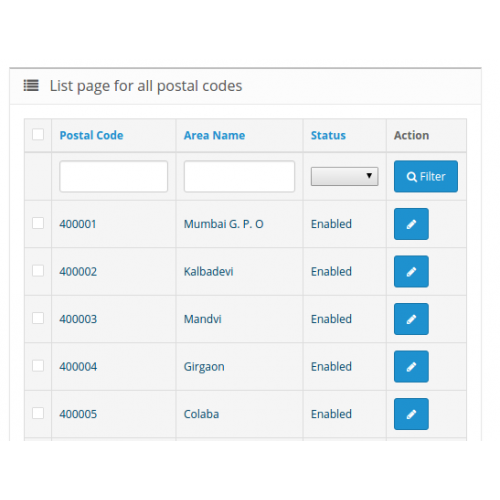 So if some products are only available for certain location then with this extension you can easily set up city area pincode based products. With smart tools available within the extension and help guide, you can set up very quickly. 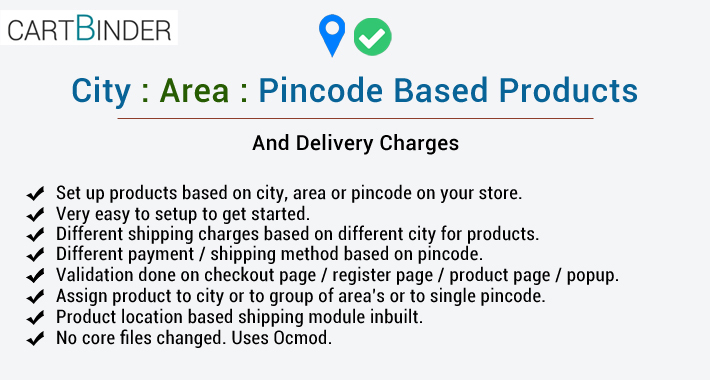 All in one extension to help you set up city area pincode based products and delivery charges in opencart. 2) You will see a popup after page load asking for your location. ( This is optional and can be disabled ). 3) Drop down for the location will come from which you should select the location. 4) On selection, the location would be saved and will also show in the header. 5) Now go to any product page you will see search block with your location. 6) If correct location then you will see add to cart enabled and you can go to checkout page. 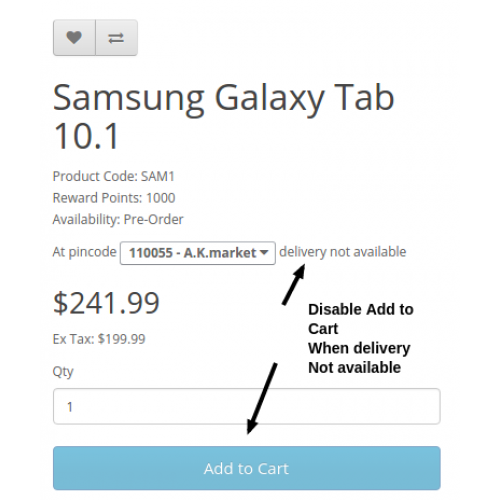 7) If the wrong location then you will see add to cart disabled on product page and error will on cart page. 8) If the customer does not enter any location in popup or product page, then we also do testing on the checkout page. - Set up products based on customer location. - Products to be assigned to multiple locations. - Products can also be assigned to the just single area ( Pincode ). - Option to add shipping charge or no charges for shipping for each product for different locations. - Show shipping charges or free delivery on product page based on location. - Import-export tool for quickly uploading your areas. - Set up payment and shipping method based on customer location. - Example: COD is available in Area A. And Prepaid option in Area B. - COD availability message can be shown on product page. 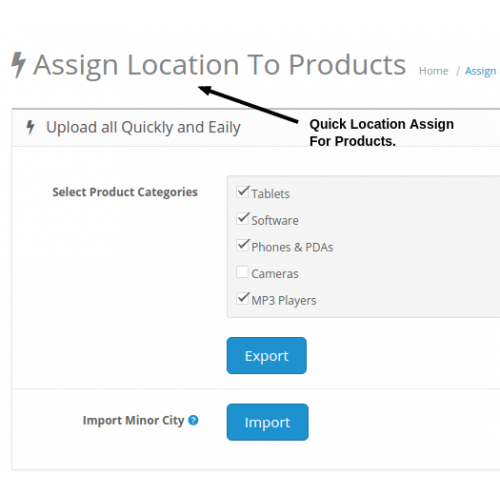 - Location button can be shown on storefront header and product page. 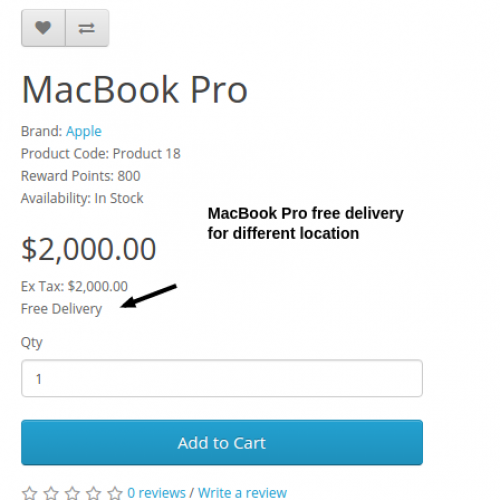 - Disable add to cart on the product page when the product cannot be delivered to their location. 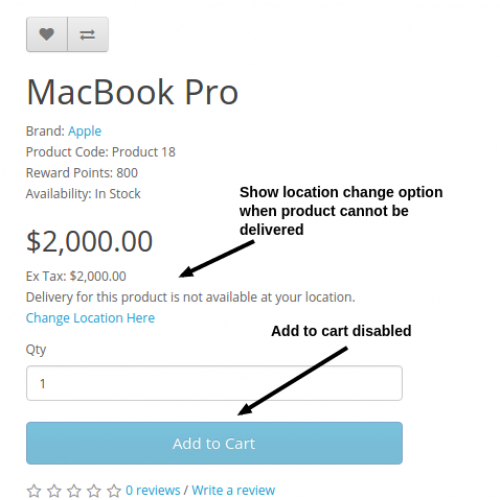 - Feature added to restrict the customer from checkout if buying a product from the location where no delivery available. - Feature added to check pincode when new registration. - Feature to get location first before entering the website. So only after correct location is entered customer will be able to see the website and products. - Option to enable first-time popup location check for new customer visits. - Now you can assign a city to product directly from admin without import/export. More Faster. - Now compatible with 3.x version. What does this extension do ? Now Suppose you have 3 cities where your products are delivered. Let's call them City A, B, C.
Product A is only available at location City A. Product B is available at both Locations City A, B. Product C is available at both Locations City B, C.
So with this extension, you can assign Product A to City A. And assign Product B to city A, B both. And assign Product C to city B, C both. Furthermore, you also have an option to add shipping charges to different cities. Ex: Product A -> City A = Shipping charges : $10. Product B -> City A = Shipping charges : $4. Product B -> City B = Shipping charges : $12. So you can assign different shipping charges to different cities. Now suppose there are some products which can be delivered in the single area ( Single Pincode ) or group of an area. This can also be done with this extension. What is the difference between city and area? So basically if you are looking for products delivery based on City or Area this extension can be helpful for you. We have added smart features to easily set up the extension on store. 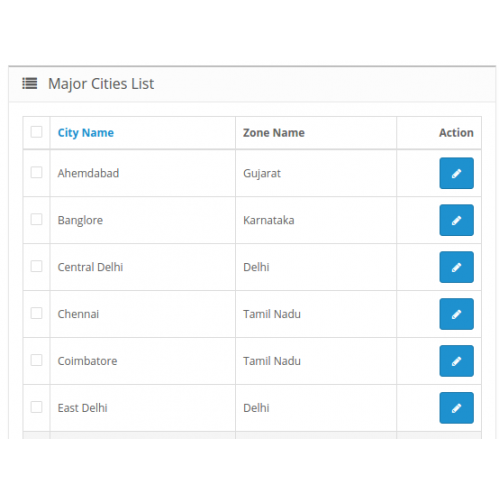 Separate page to manage your delivery cities. Easily create new, delete old, edit existing cities from this page. Area ( Pincode ) is smaller than the city. Each city has a lot of pin codes. Separate page to manage your areas. You can assign different payment - shipping method to a different area. You can have different messages for each area. Ex: Delivery in 2 working days, Delivery in 4 - 6 working days, etc. As areas are going to be in big numbers. We have import tool to instantly upload a lot of areas together. All fields for the area can be set up during import. Once you add your cities and areas, its time to assign them to your products. So this page is used for this purpose. Just select the category and city to assign. So all products for that category would be assigned to the city. 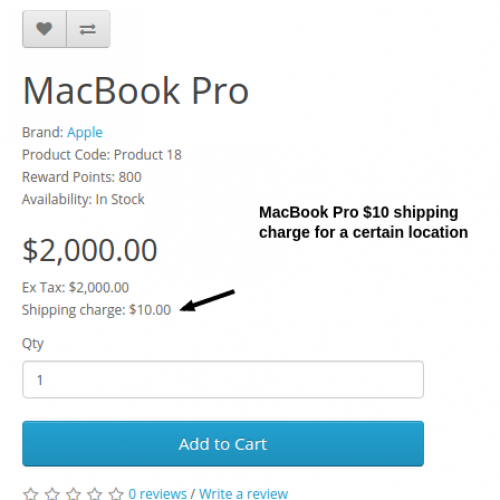 You can also add shipping charges during this assignment. Sometimes there are certain products which are not delivered to complete city. But some area ( Pincode ) or group of areas ( Pincodes ). So this can also be done directly from product edit page - links tab. 1) Color selection for location checkbox. 3) Check out page settings. 5) Payment and shipping method based on pincode. We have how it works section on different pages to help you understand the page in case of any doubt anytime. This has been tested on the default theme and default opencart checkout. We have also done lots of configuration with different themes and checkout. It is possible that your theme and checkout can be configured. Kindly drop an email at [email protected] prior to purchase so we can let you know. And you will have our commitment to configure. If you have common pincodes for all products then you can check above extension. In this, all pincodes added by you shall be available for all products. 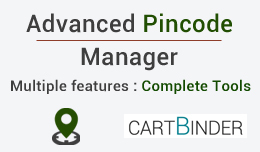 One of the most authorative modules on pincode based shipping and payment. Developer support is more than amazing. Developer configured this to work flawlessely with opencart 2.1.0.2 and journal2 theme (less than reasonable charges for journal2 customizaion) got it customized in less than 2 hours. 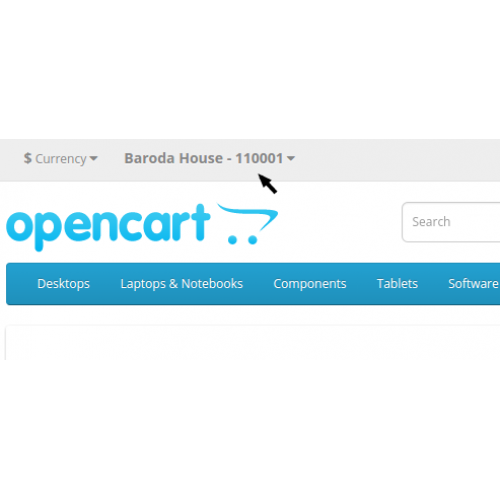 The features of this extension and the support for any opencart custom theme are excellent. I truly recommend this extension for anyone who is looking to filter products to customer based on their location. 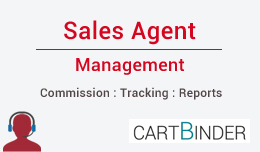 About Sales Agent: Management, Commission, Reports & Tracking is an opencart extension developed with multiple features for proper management of agents/c..